The BoBunny Blog: CHA Sneak Peeks Apple Cider! CHA Sneak Peeks Apple Cider! This line makes me long for the crunchy leaves and pumpkin pie that come with all things fall! Mmmm, Apple Cider. Comment for a chance to win!! Apples and punkins and leaves, Oh MY! Love this whole colection, from top to bottom, LOVE autumn! Love it all!!! But gotta have that stamp set for sure! Oh wow!!! Oh my goodness! Everything about this screams FALL!!!!! Can't wait!!! Another awesome collection! Love the trinkets. I love that sheet of pumkins but I mostly love this line because of it's name. It brings back childhood memories of going to the cider mill and getting so sick from drinking way too much apple cider in one day! Mmmm,lovely colours! Good start for autumn projects! wow, I love the colors! 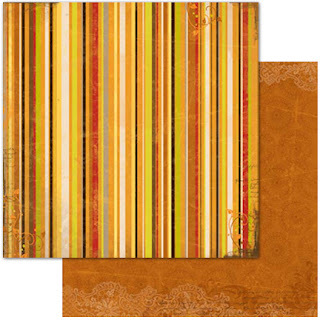 the fall stripes, yellowish green and orange yellow combo! and the stripes! and all the acorns! totally megalicious! I love the fall colors. The apple stickers are great! i want this collection, she realy beautiful. Wow! 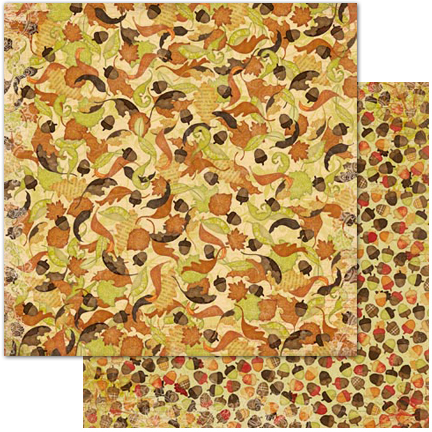 The apples and pumpkins paper is just fantastic. Lovin all the fall with this collection and the 6 x 6 paper pad as always! Thanks 4 the chance! I love the fall AND these papers and goodies!...they're really beautiful! As I scrolled through the pics, I started planning a Thanksgiving mini album!!! It's just perfect! Very cool, with this papers I'm already looking forward to autumn! Love the autumn feel! Fabulous line. This is one of my favorite collections from this release!! so many creations to make, so little time!! What an awesome fall set. This is a lovely collection. I like the colors. Ohhhhhhhhhhhhhh my another Stunning collection. Beautiful autumn colors I love the whole colection. Really nice line! Luv the stamp! I LOVE this collection! The colors are beautiful and I love fall!! So beautiful, with so many great colors. I love the pumpikins and the little girl. The colors are fantastic and those apples!! Hmm... My favorite time of year... And with this heat, I miss it that much more! Mmmm... goodness me! What a gorges collection! 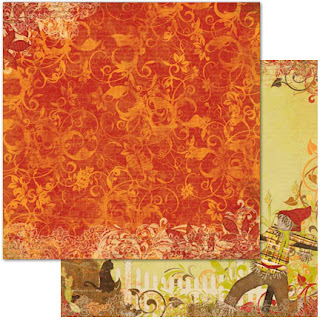 Fall is my favorite time of year and I just see endless possibilities with this collection! Love the apples and pumpkins. I'm so excited! WOW - This is amazing. LOVE it ALL! Great line - makes me feel like fall is right around the corner. Wow, beautiful. Makes me long for fall and all of its' glory. Perfect for fall pages! Awesome! I LOVE the fall! This collection is perfect! 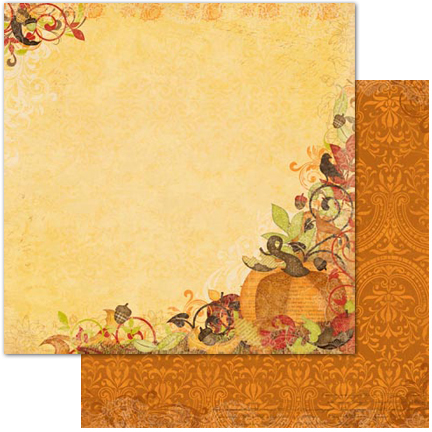 We take the kids to the pumpkin patch every year, these papers will be perfect for those pictures! Beautiful collection, thanks for the chance to win it!! Oh, it's a gorgeous new line of products. I can see so many projects being used for this, scrapbooking, cardmaking, and mini albums. Bo Bunny rocks. 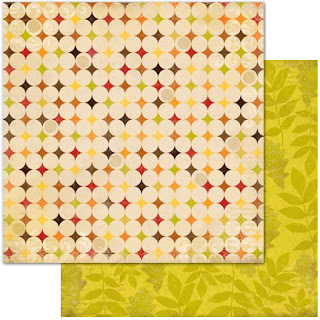 Love the bright yellow-green in this collection - brightens everything up! Love this beautiful collection! 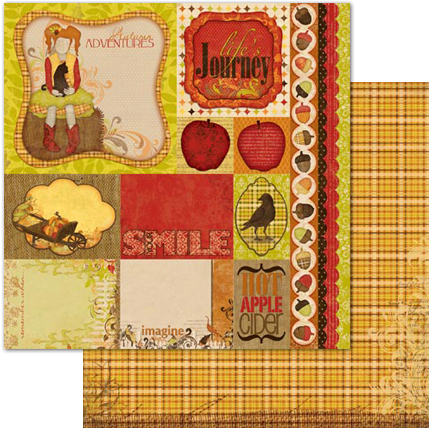 You make it so easy to scrapbook with all the coordinating papers and embellishments! Love these colors and the pumpkin embellies are fabulous! Oh, it's a gorgeous new line of products. Love the rustic feel! LOVE that little girl too! Oh I just love this whole collection if I can only pick one thing from all the new stuff coming out this would be it! Looks like this fall collection would coordinate with last year's, of which I have some peices left. Beautiful! Looks like I'm going to do a photo shoot with Morgan in our local pumpkin patch. Would like to do a mini album with those photos. Anyone got a bottle of time to spare? As with all of your previous autumn collections, I absolutely love this!! It will be added to my Bo Bunny stash for sure! I'm getting warm fuzzies just imagining how to use this line! I love the apple page!! Wow! Apple Cider is gorgeous! Finally a company comes out with a stunning fall line, thanks Bo Bunny!! Amazing collection! I love every piece of it. 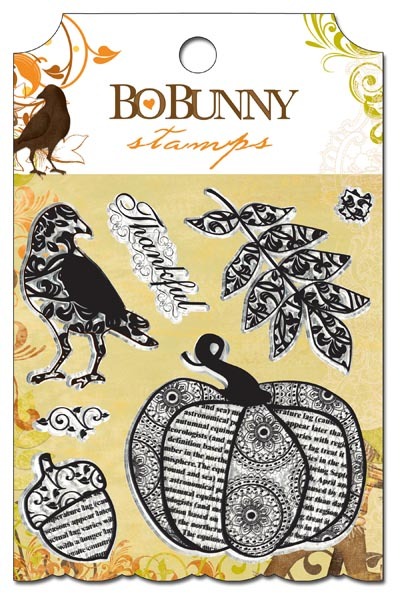 Sometimes I love a paper collection but the stamps are MEH, but never with BoBunny! Ooooooooooh, love this!! And that flower pack is a must for me! I suddenly just got excited for fall to get here! What a fabulous cozy feeling collection. I love the deep oranges! This is gorgeous!! The colors are stunning! Love this collection. My favorite so far for this CHA release! I love fall!. This collection is wonderful!!! Every day keeps getting better and better. I love the acorn paper. The whole collection is great. Can't wait to see the rest. This collection is gorgeous, so orginal and the colours are fab! You just keep making me want more!! I love this autumn line. so beautiful!! Such awesome colours and patterns! I'm especially loving the acorns! So cute! I absolutely love this collection! Autumn is my favorite season and these colors are gorgeous!! I want it all, and I want it now. 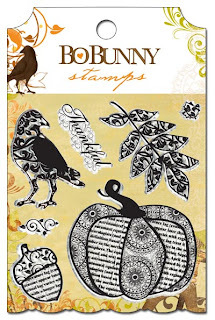 Bo Bunny always does really lovely autumn collections but, with Apple Cider, you've out-done yourselves (again!). Love this collection! Fall is my favorite season so I'm really liking everything I see. This is so pretty. I have so many photos I could use this paper with. Ohh, this collection almost makes me wish it was fall now :P Want it all! My favorite season! I love the smells, sounds, and weather in the fall and love everything about this collection. Fall is my favorite season! I LOVE this line!! I hope I win!! What a great autumn line! Love the design and colors. And as always, the mini album is so gosh darn cute. My absolute favorite fall activity is going to our local apple orchards and picking a bushel right off the trees. Love making apple butter to share with my friends and family. LOVE this new line!! What amazing rich and gorgeous paper!! Love the whimsical designs. This line came out perfect... it has the cutest prints for everything I would want to create for fall. And the tiny embellishments are gorgeous too! Can't wait to get it! I am in love with the apples and pumpkins! So cool! The papers are just wow! More, More and MORE beautiful paper from Bo Bunny. Oh My Goodness!!!!! This is beautiful. Can't wait to get this paper and play with it! Well done AGAIN!!!!!! I do love this line. It would be tough to pick a favorite. LOVE!!!!! Fall is my favorite time to craft!!! OMGosh, another Must Have collection from Bo Bunny!!!!!! Absolutely love it!!! I absolutely love Fall with all the beautiful colors of nature and now BoBunny has captured those gorgeous colors in this new collection. Can't wait to use it on my scrapbook pages this Fall!! This is beautiful! Warm and comfy- perfect! oh love it so great for a fall collection. This papers I'm already looking forward to autumn! Very cute! Love the apple paper! The stamps are my favorite! Also the paper with the scarecrow, and the apples. SO cute. Wow, oh WOW! Love this collection ... such a fun fall collection with a bit of whimsy ... so cute! Love it! Especially the apple paper. I still have last year's pumpkin patch pages to do! Loving this collection and all the papers. Looks like there is even a little boy maybe on one of the papers!! Gorgeous. The fall colours are wonderful, especially that rich orange. Love the stamp set. Will definitely want to play with it! Does it smell like pumpkin pie...cause it should! So gorgeous! I love it!!!!!!!!!! You make it not to spend all my hard earned money, LOL!!! Terrific collection. Makes me wish for fall to get here. Love them apples!! That's a great fall collection for sure! Love it and want it all! CUTE! The little girl sticker is adorable! Seriously IN LOVE with this collection!! Cannot wait to get my hands on it!! LOVE LOVE LOVE!!!!!! This collection is awesome. I just love the colors and designs. Can't wait to get it in the stores! Oh, so cute! Love the leaves, acorns and pumpkins!! Very cute! I love everything about it! Saaawooon! love this line. I really like that pumpkin stamp. I love the richness and "FEEL" of the colors of this collection! Wonderful! Can't wait to get it. . .
Oh, I love fall, and this collection is apple-licious! Can't wait to work with this! Love this--Fall is my favorite time of year. I've got to have this collection. The mini album is too cute!! After several days of 100+ temps, this collection is making me long for fall days! Beautiful. Absolutely fabulous! Can't wait to get this paper in my hands and start fussy cutting. I can already picture all the autumn albums and delicious decorations I'll be making with this collection! Each Fall, we go choose our pumkins in a large field. This collection would be sooooo great for thoses pictures!! Love it! I have the perfect photos for this wonderful paper collection!!!! Still my top brand...alwas blowing me away!!!! YAY!! Perfect yellows!! And Pumpkin Patch! This is so hard to find! I can't wait!!! Is it FALL yet? LOL! Fabulous collection! Fall is my favorite time of the year and the time when I take the most photos...so I am always looking for new papers to jazz up my layouts. Thanks for the chance to win! I absolutely love this collection, all the extras are great. can't wait to get it all and then find the perfect pictures!!! We have a family tradition of apple & pumpkin picking every fall. I have been looking for years for the perfect paper collection to make an album and I finally found it with the "Apple Cider" collection! Thank you Bo Bunny! I absolutely ADORE this!!! Oh my word, I just love it. I love going to pumpkin patches and love the whole set to go with it. I need this I want this!!! !oh my! I love this collection especially the pumpkin album!!! Thanks for the chance to win!! Pretty! With all this heat this paper collection actually helps me feel like fall. Great collection - love the stamps and all the special embellishments ! So cute! Definitely my favorite new collection so far! Oh ma gosh! YUMMY!! Love it all! just when I think it can't get any better you give us a peek at this!!!! Those stamps are just adorable!!! Great collection! Love the patchwork pumpkins and the girl! I can smell the pumpking pie baking and taste the hot chocolate right now. This is fabulous! Oh my!!! I absolutely love this!! Makes me want to jump in leaves! I loved this collection from the moment I laid eyes on it! 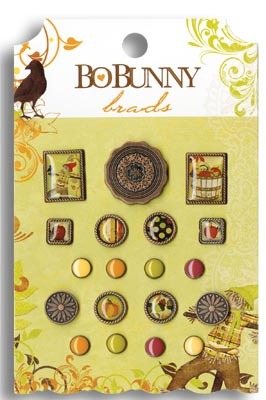 But then again I always love Bo Bunny's fall collections - what's not to love??? I've "fall"ing in love with this line! You got me 'right here' with my fave season and the rich gorgeous colors! You've captured them beautifully!! oh wow stunning!!! 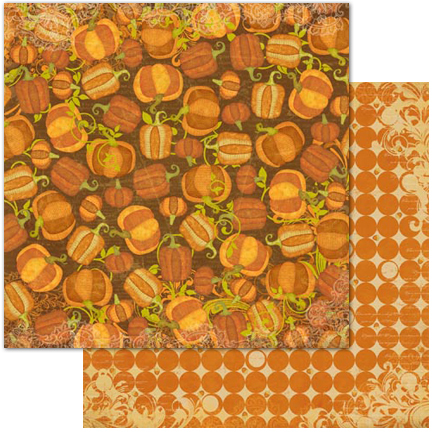 Love the apples, pumpkins and acorns in this collection, traditional and timeless!! Great collection. I love the colours. Makes you almost wish for fall, this collection is so cute. Reminds me of the neighborhood get-together to make apple cider each fall. Apple Cider gives me a warm & fuzzy feeling .. gorgeous colours !!!! Another amazing collection...love the colors on this one and such fantastic embellishment collections to go along with all those beautiful papers! I love fall!!! Especially Fall themed collections. This one is amazing! Wow!!! It\s really something!! Can't wait to create great album with this pack! Fall is such a beautiful time of the year.So many fun happenings--the pumpkin patch, apple cider and all the wonderful fall colors. Love this line and can think of so many ways to put it to good use. All of a sudden I feel like it is fall. Beautiful collection! Another autumn Line worth it's name! Love the pumpkins!! Please pass the Cider and I'll have a piece of pumpkin pie!! Fall--Harvest--Leaves--Love it all!! I love the pumpkins and rub ons - gorgeous colors. This collection is a classical one... 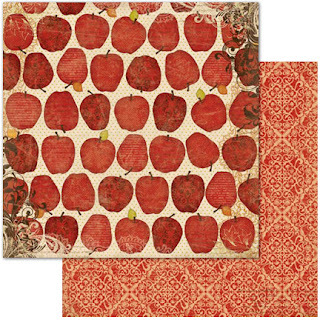 It reminds me with the"snow white and seven draws" story which famous for their poisonous apple..I think I would make this collection with fairytale theme...it should be gorgeous..
Beautiful papers! 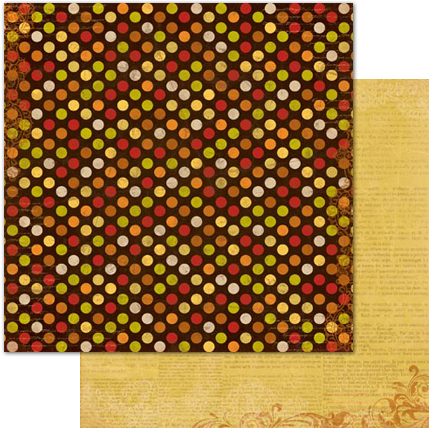 Perfect for fall projects!!! what a marvellous range of paper! Ahhh Fall, my favorite season ! and as habit you choose the perfect colors and patterns for this fabulous collection ! Perfect for my autumn landscapes pictures ! wowww ! thanks for the chance to win ! Fall is my favorite season and I always look forward to the beautiful collections such as Apple Cider. Gorgeous. 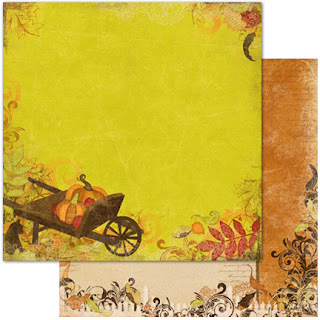 Fall is my favorite time of the year to scrap and it is soooo hard to find a good fall collection! Thank you Bo Bunny for creating a BEAUTIFUL fall collection!!! Yup....LOVE!!! That little leaf button is just great. I already know which layouts I would make with this collection. Scrappy eye candy! Beautiful, warm colors, and I love the Combo Stickers! Wonderful collection! Beautiful colours, especially that bright green. LOOOOOVE IT! Yummy! Can't wait to scrap it! wow!!!! this is my favorite!!!! Love it!! A beautiful collection! And do I see a possibility for a double page in there? Yay!!!!! An awesome collection for sure. With this heat wave coming through, I want to jump right into Fall and cool off! I love the Pumpkin album !! The colors and patterns are awesome ! Fall is by far my most favourite time of year. And it just got better with the release of this collection!!! Thank you for the continued excellence in scrapbooking and papercrafting product ... I LOVE you, Bo Bunny!!! Great Autumn Collection! Love the stamp set! Beautiful colors and patterns! Love fall colors and papers!! Love love love the colour combo. Absolutely love the color combos!!! This will be fun to create with!!! Fall is my favorite time of year. I love the crisp air and the leaves crunching under my feet. This line captures all of that and more! Just beautiful! 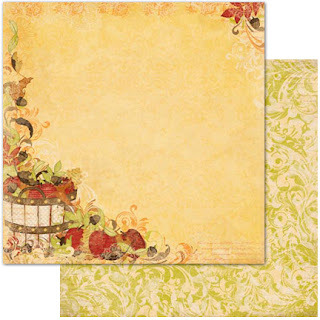 The line is gorgeous and would make it easy to make cards or for those Thanksgiving projects and pictures. Love the colors and patterns in this line, makes me long for fall weather. Your fall collections are always my fave. OK,I want it today! I can't wait to start on my pumpkin patch pictures from last year. This is a beautiful set of patterns. Thanks, Bo Bunny! Beautiful fall colors in this line! I'm ready for the Pumpkin Patch! Something for everyone in my family in this pretty fall line! It is calling my name to scrap with! Oh I love this! And I need this -- some friends and I take Columbus Day annually to head to a short scrapping and stamping retreat in Berkeley Springs, WV for their Apple Butter Festival! This is the perfect line for our weekend minis! Mmmm such goodness. Love the acorns and apple pattern papers! Great Fall collection! I really love this collection. All the cute little apples and pumpkins. Cant wait for the fall. Cute, love the trinkets and mini album especially!